Former Minister of Finance, Ngozi Okonjo-Iweala, has reacted to the news making the rounds linking her with the 2019 Presidential election. She made this known in a statement signed by her media consultant, Paul C. Nwabuikwu, on Monday. 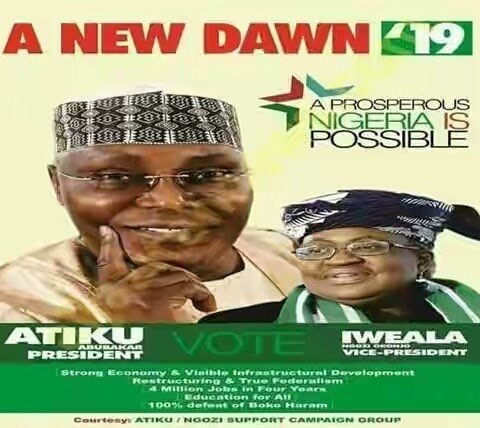 A campaign poster appeared on social media with Okonjo-Iweala and former vice president, Atiku Abubakar‘s image as Vice Presidential and Presidential candidate respectively, for the 2019 election. Our attention has been drawn to speculative media stories linking former Minister of Finance, Dr Okonjo-Iweala with the next presidential election scheduled to hold in 2019. In an effort to invest their efforts with phony credibility, those behind the project have even gone to the extent of designing a fake campaign poster embossed with her image. This is to clarify that Dr Okonjo-Iweala who is busy with important international duties has absolutely nothing to do with these speculations and activities. She has neither discussed nor endorsed them with anybody. We urge the Nigerian media and public to ignore this mischievous exercise and its sponsors. Madam, you owe no one any explanations for your political decisions. Good that it is false though because while we want change from change, we really need credible leadership, that will truly fight the rot in the land wholesale and without making it a selective hunt. We need change from change but will not support like for like that made men of blind ambition and sectional interest foist a 70 year old man without any proven success in personal or national endeavors on us as our C21st president. We don’t hate Nigeria that much as to throw caution to the wind on national unity and cohesion so long as we wrest power for us and our own people as the ‘kingmakers’ did last year. 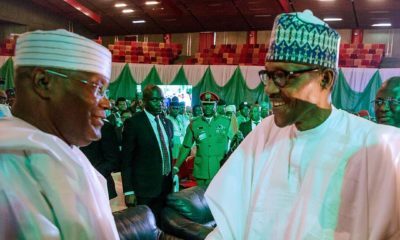 We will question the credibility and corruption index of any leader that we will support to square up to the bigot of Daura. Old wine.. old Bottle… Old Idea..Same Promises…. Why cant these old people just go and sit down?? 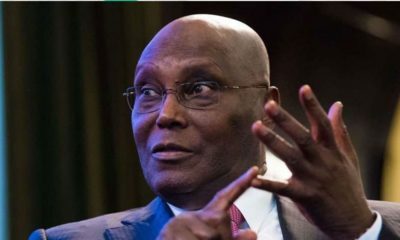 COME 2019…Nigerians…as usual will collect money, bag of rice etc and vote the wrong candidate in..
Atiku at it again. You will never be president. Iweala maybe. Neither of them will be…period! Come to think of it, She could make a great president. What do yall think? atiku is a joker. just give up!